Athletes need to perform their best, and that starts with proper hydration. 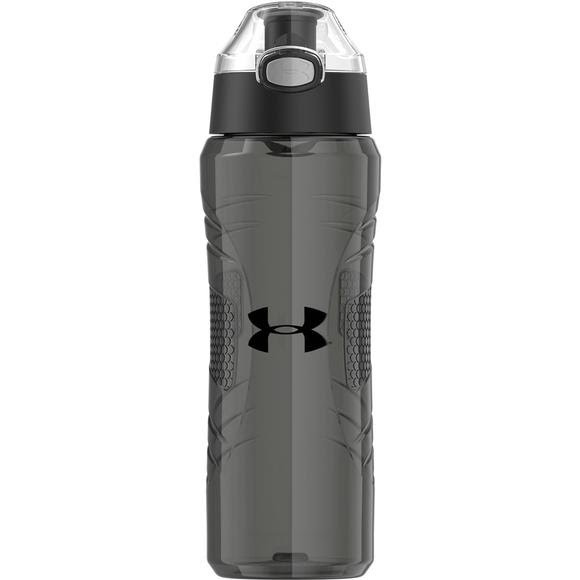 The Under Armour 24-ounce hydration bottle is made from BPA-free, impact-resistant and dishwasher-durable Eastman Tritan™ copolyester material. The push button lid is easy to operate with one hand and includes a locking ring to keep the lid secure during transport.